Villathis property is an elegant and welcoming apartment immersed in a splendid landscape, in the heart of a wonderful little town. It sleeps three people. 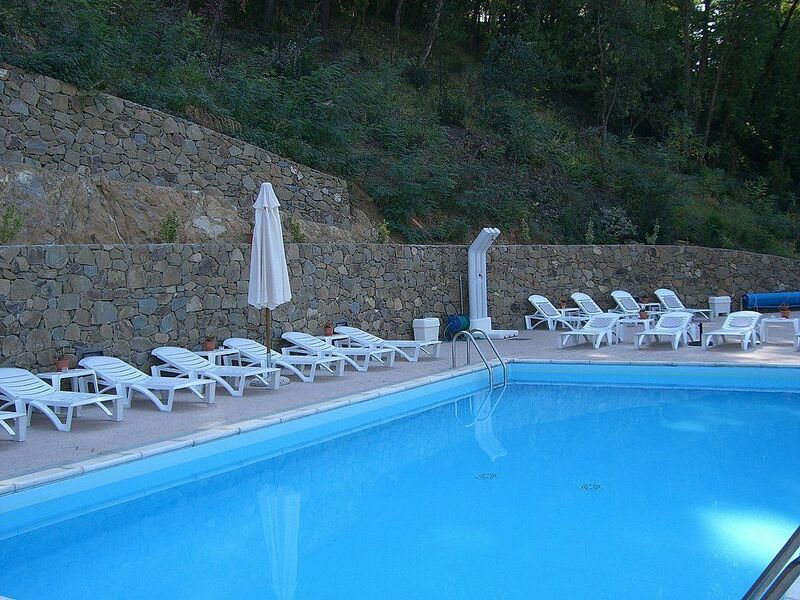 From Villathis property you will enjoy a broad view of the valley and of the greenery. Villathis property is 30 square meters (320 square feet). It features a shared swimming pool, two panoramic private terraces, a shared garden, winter heating and WI-FI Internet access. The terrace is partly shaded by retractable awnings. It is equipped with a table and chairs. From the terrace you will enjoy a characteristic view of the valley. The furnishings of the living room are elegant. The furnishings include a divan bed for one guest. In the living room you will also find a cooking area. The kitchenette is equipped with a two-burner electric cooker, a refrigerator with freezer and an Italian-style coffee-maker. The dining table can accommodate four guests. In this room you will find a satellite television (local channels). From the living room you will be able to enter the terrace through a French door. You will be able to enter the bedroom living room. The bedroom has a matrimonial bed (160 cm/62 inches, wider than a queen-size bed). From the bedroom you will be able to enter the terrace through a French door. The bathroom is equipped with a washbasin, a toilet and a fully enclosed shower. You will be able to enter the bathroom living room. This villa, in San Baronto, boasts a gorgeous valley view sleeping 3 people.